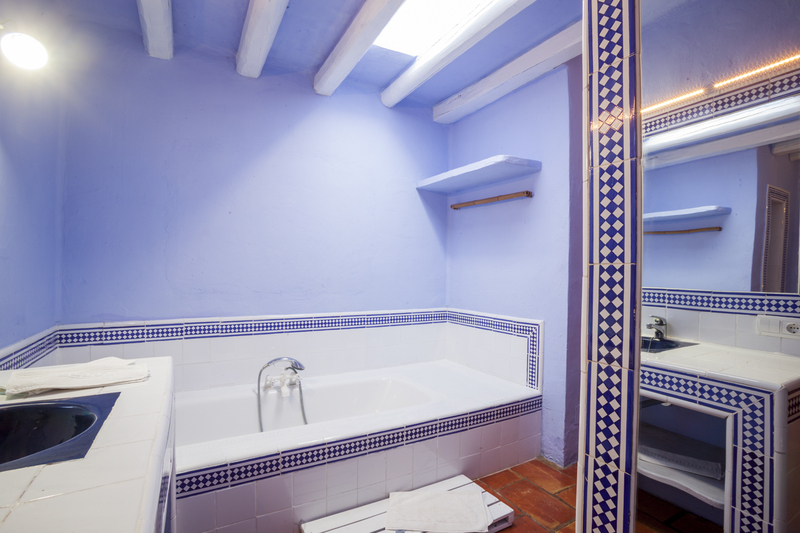 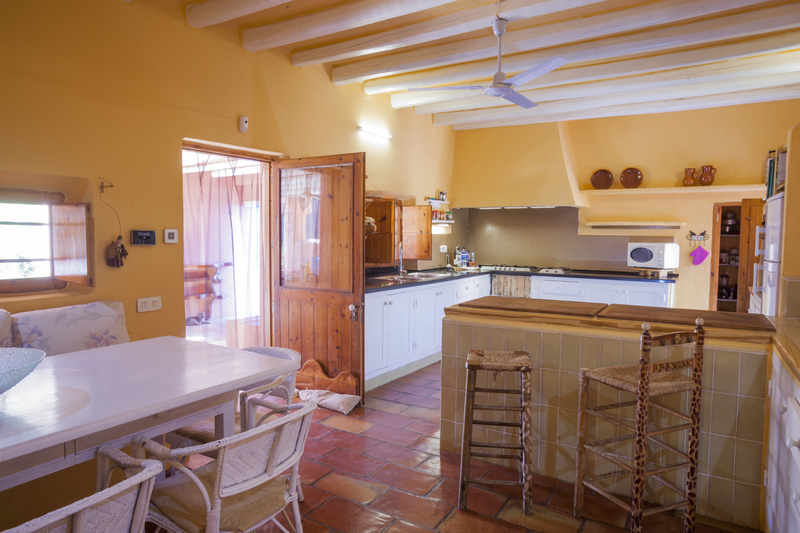 This house is just outside the charming village of Santa Gertrudis. 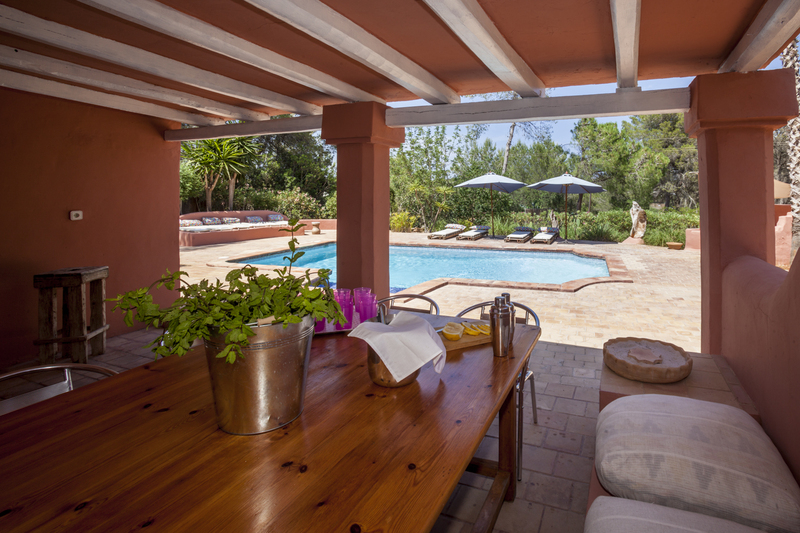 The property is set in a lush garden with 2 pools, a tennis court on 7000 m2 of pine trees, palm trees, flowers, plants and an orchard. 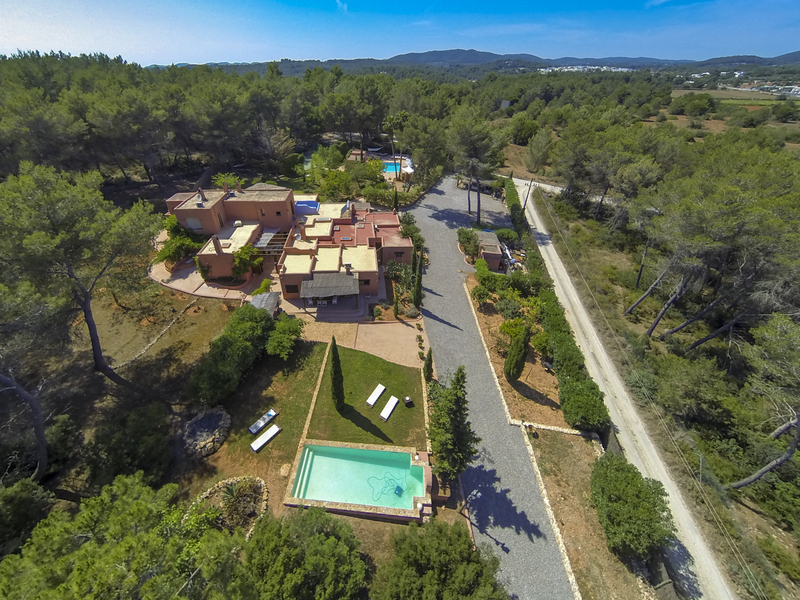 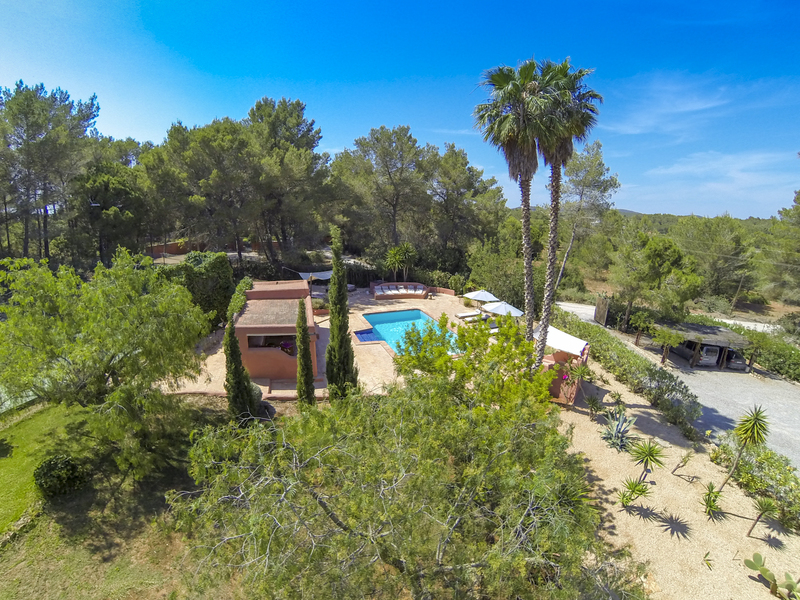 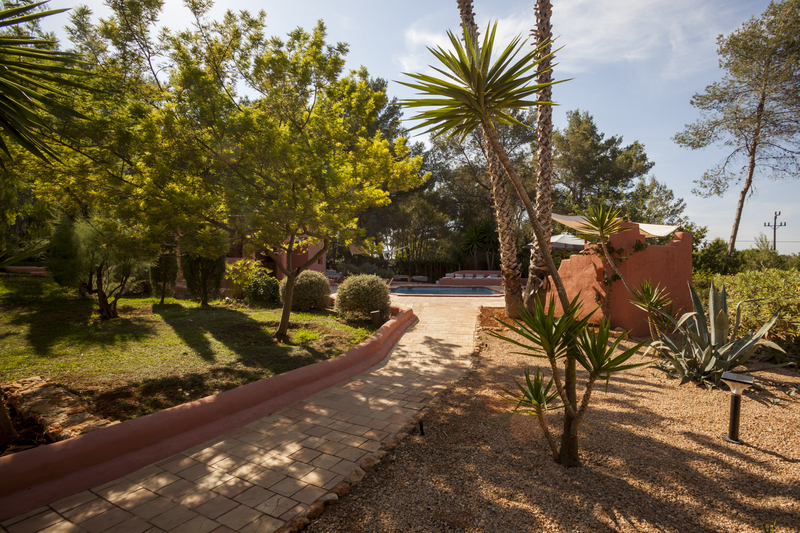 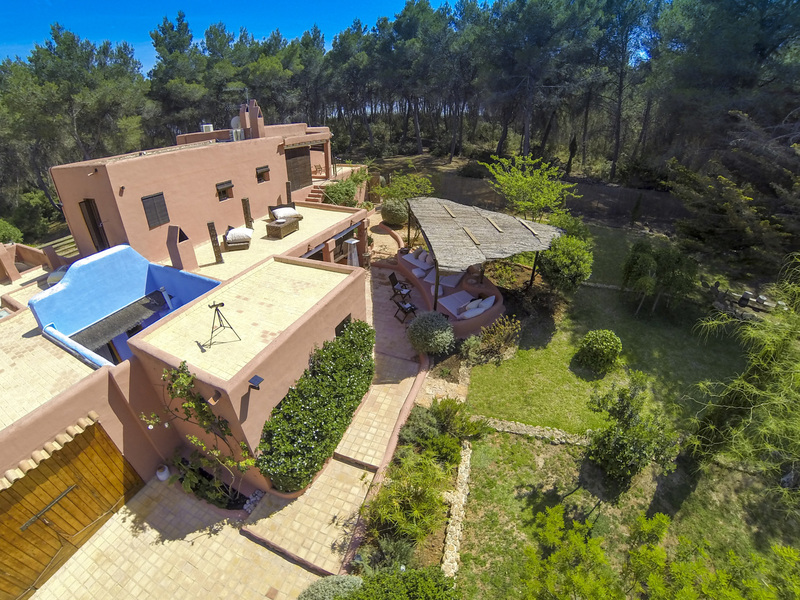 The property has some 490 m2 distributed in 3 houses, there is Wi-Fi, air conditioning, Sat TV and secure parking. 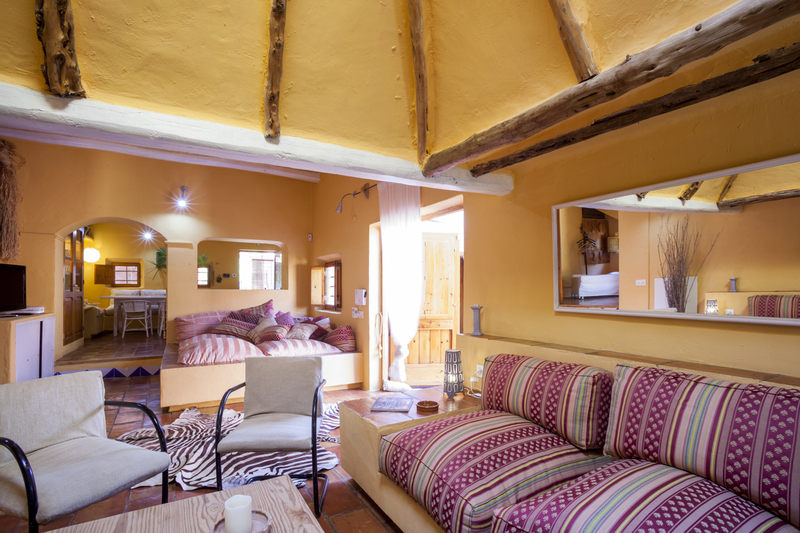 In the main house there are 4 bedrooms (2 double bedrooms, 1 twin and 1 with bunk beds) and 4 bathrooms en suite. 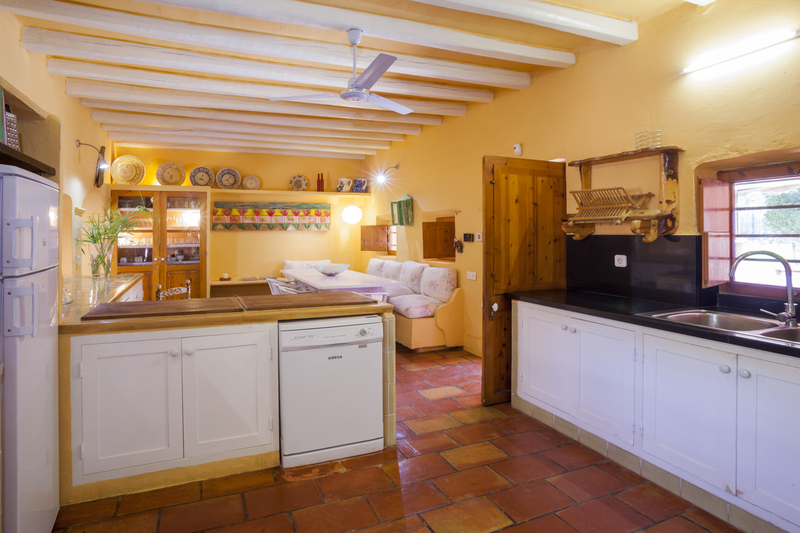 The kitchen is fully equipped with a pantry and separate office and laundry room. 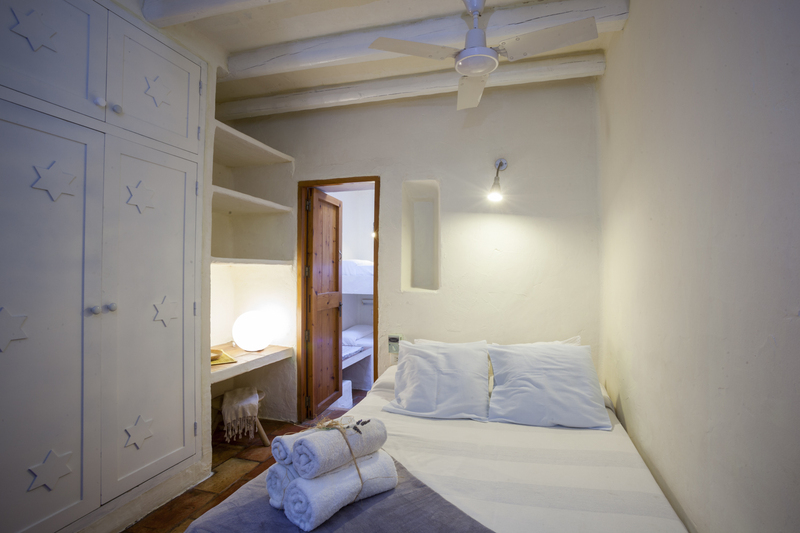 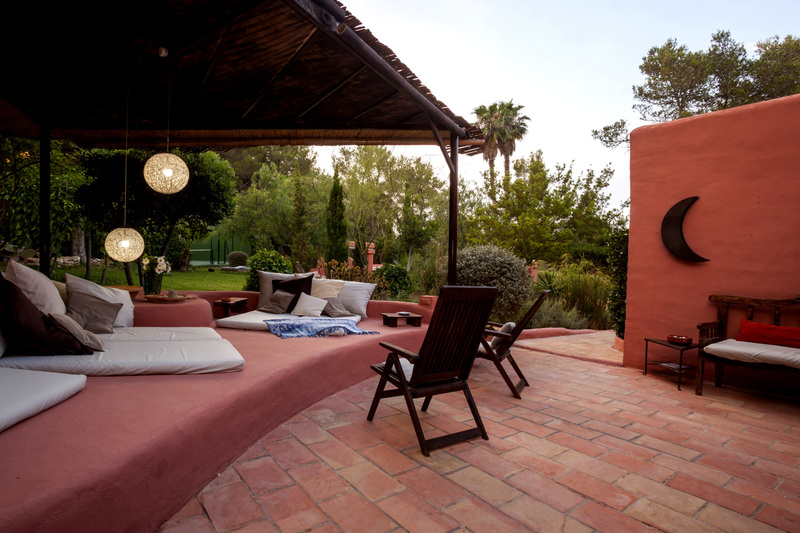 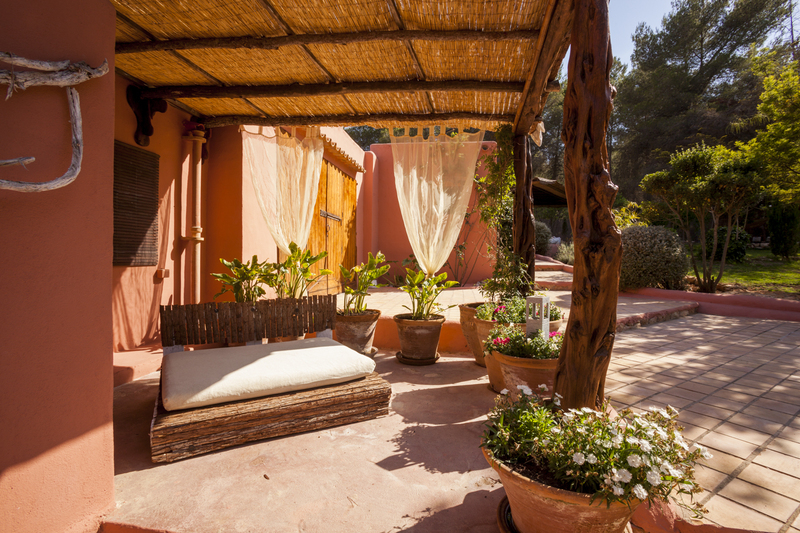 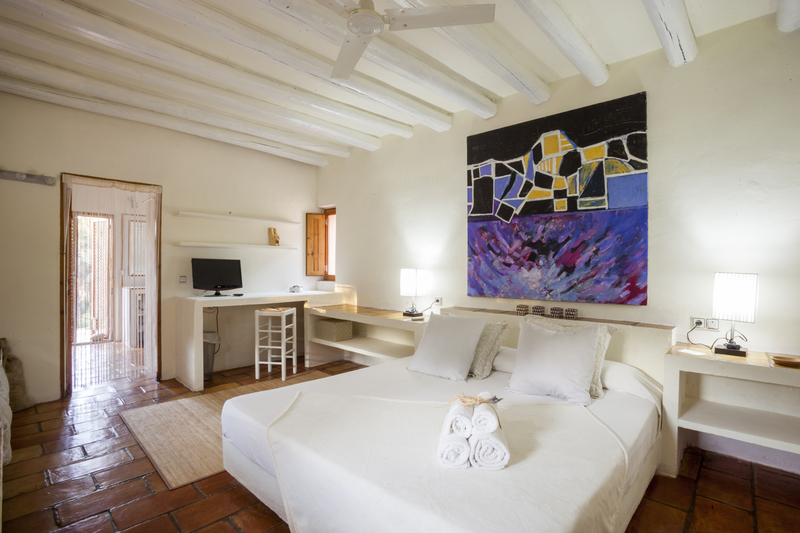 The living room is in traditional Ibizan style with a fireplace and skylight and a dining room for 12 guests. 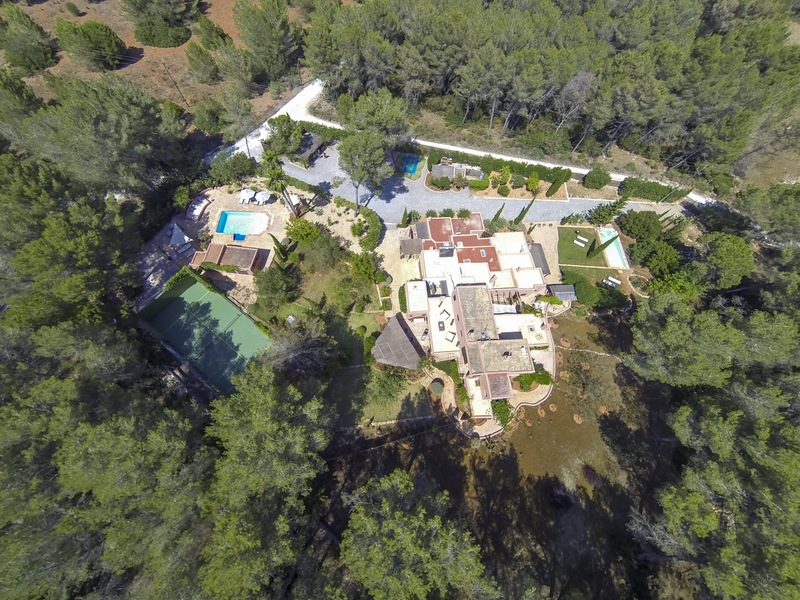 Outside there is a dining area for 16 and a large BBQ, a large chill out area and a swimming pool, a tennis court and a second smaller pool. 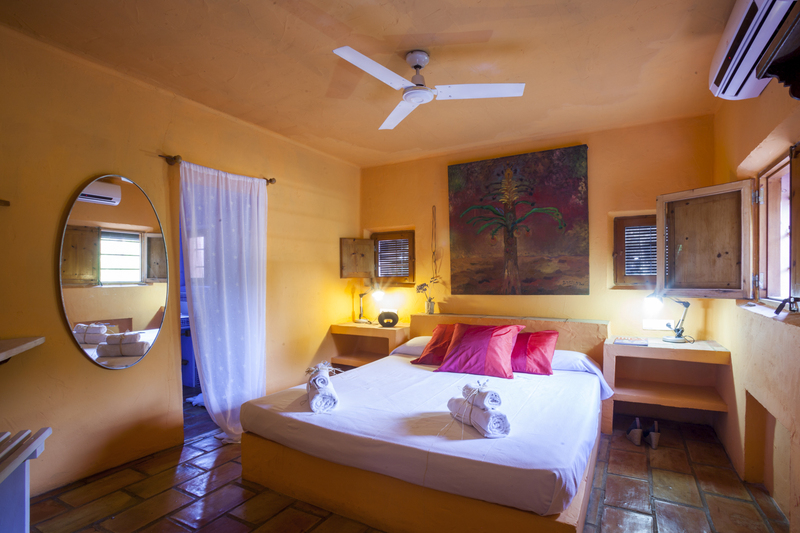 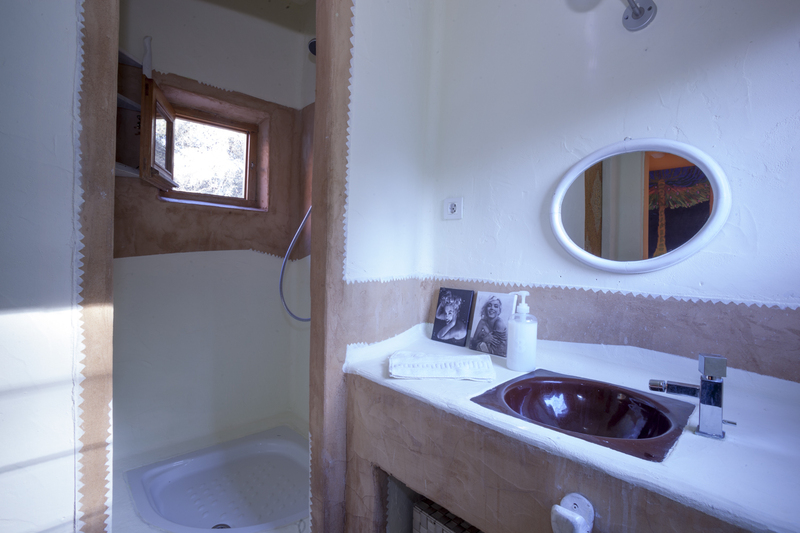 The guest house has 4 bedrooms , 3 with double beds and 1 with a triple bunk beds, all with their own bathroom. 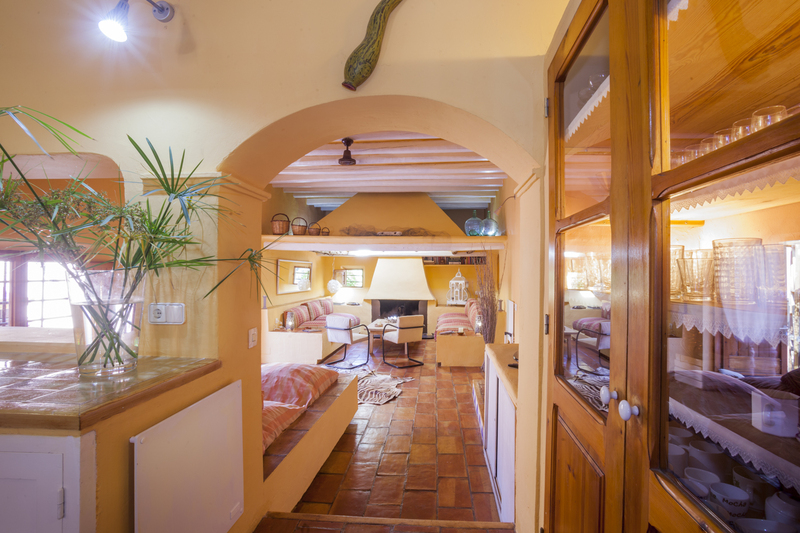 It also has a living room/ dining room with a fireplace and a kitchen dining room as well. 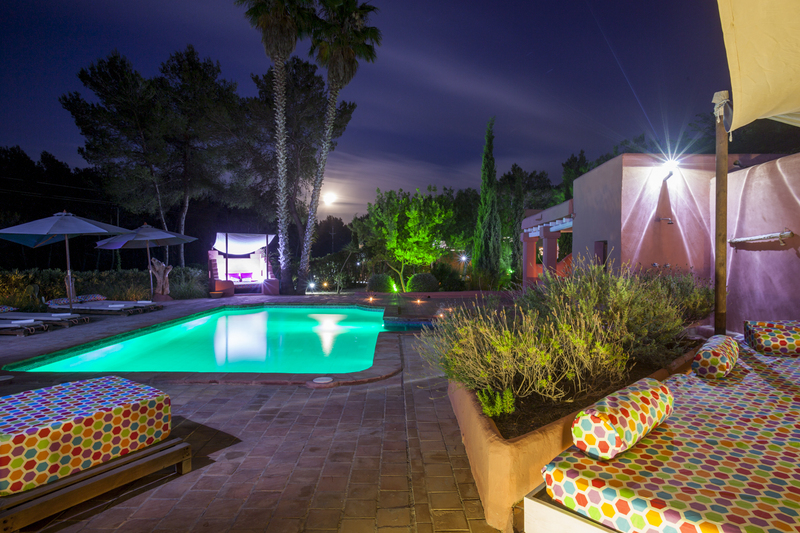 Outside there is a large covered dining area for 10 people, a BBQ, and a chill out area. 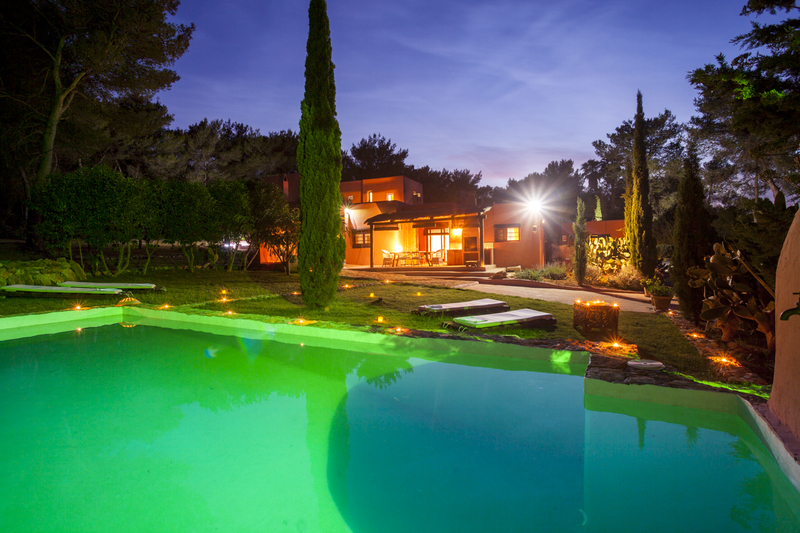 The location of the property is approximate for reasons of confidentiality.